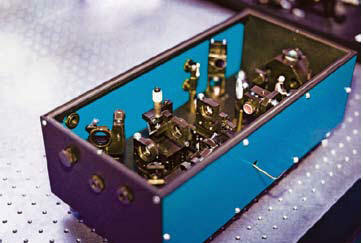 Kits consist of set of components required for efficient third harmonic generation of femtosecond Ti:Sapphire laser. The scheme of the efficient third harmonic generation is presented on the left. * All above four components are mounted in to 1 inch ring holders for convenient handling. Non-standard kits with larger apertures of BBO crystals and thicknesses optimal for other pulse durations are available on request. Do not have time to build your kit and want to buy premounted and aligned THG? Continue reading! We have about 1 W across the range 780nm to 920 nm. We are interested mostly in tunability in the range 240-300nm. Pulse width is not very > important. If a (third + fourth) HG exists in one model, that would be great. Also it would be good for us to have several wavelength available at the same time, i.e. fundamental and harmonics. 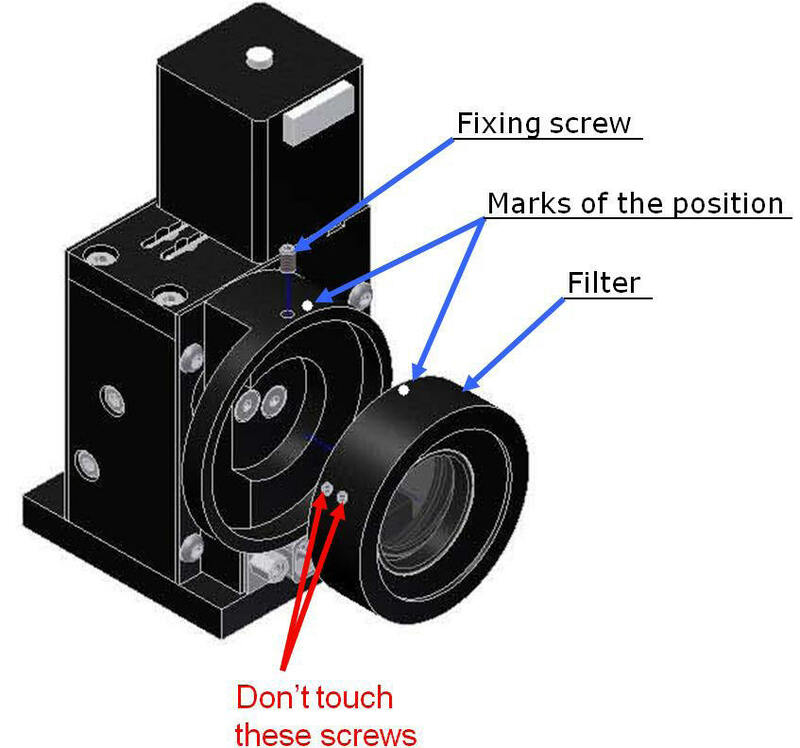 I want to use this system for a photoemission microscope, and my first interest is in the tuning capability. The second interest is in building up a pump-and-probe system using the fundamental or 2nd harmonic as a pump beam and the third harmonic as probe. Do you have suggestions for the delay-line? We can offer our multiharmonic (SH, TH) generator unit. The simultaneous output will have around 10% (100 mW) of your input power in fundamental and each of harmonics (10% fundamental, 10% second and 10% third). Each harmonic has its own output (see attachment). The tuning range will be 260-300 nm for TH with your input tuning range. I'm interested in the 3^rd harmonic generator for an amplified Ti:sapphire laser. What is the maximum pulse energy? The system is a Coherent regenerative amplifier (RegA 9000) that produces 750 mW at a repetition rate of 100 kHz, which is a pulse energy of 7.5 microjoules in 50 femtoseconds. The beam diameter is 2.7 mm. We have tried to use a Coherent 9300 harmonic system, but it is designed for oscillator energies of nanojoules, so it is too tightly focused on the crystal and generates white light. Please find enclosed the quotation for the TH generator along with the drawing. Please note that since the unit is non-standard the dimensions may be extended by +100 mm in length and +50 mm in width. 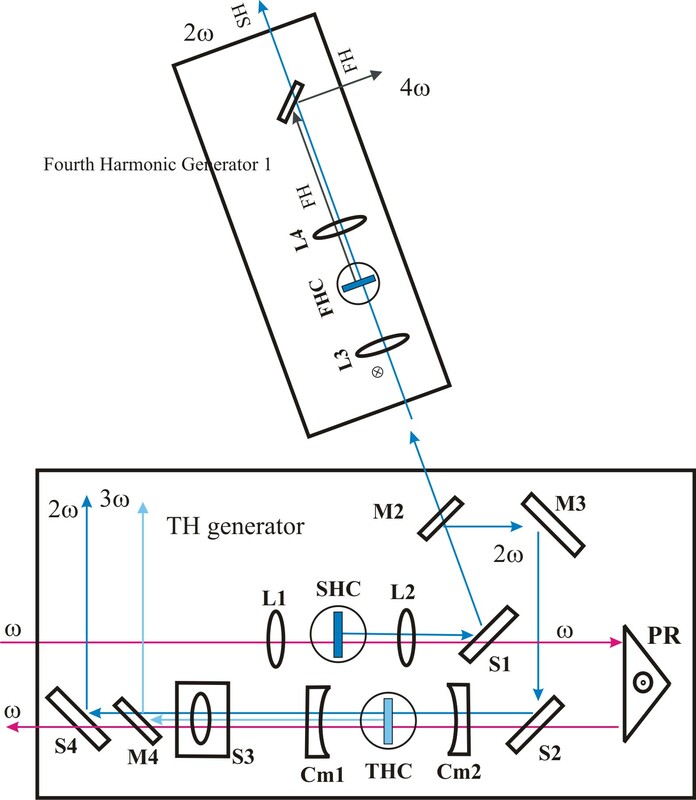 I’m interested in the 3rd harmonic generator for an amplified Ti:sapphire laser. What is the maximum pulse energy? The system is a regenerative amplifier that produces 750 mW at a repetition rate of 100 kHz, which is a pulse energy of 7.5 microjoules in 50 femtoseconds. The beam diameter is 2.7 mm. We have tried to use a Coherent 9300 harmonic system, but it is designed for oscillator energies of nanojoules, so it is too tightly focused on the crystal and generates white light. the drawing. Please note that since the unit is non-standard the dimensions may be extended by +100 mm in length and +50 mm in width. 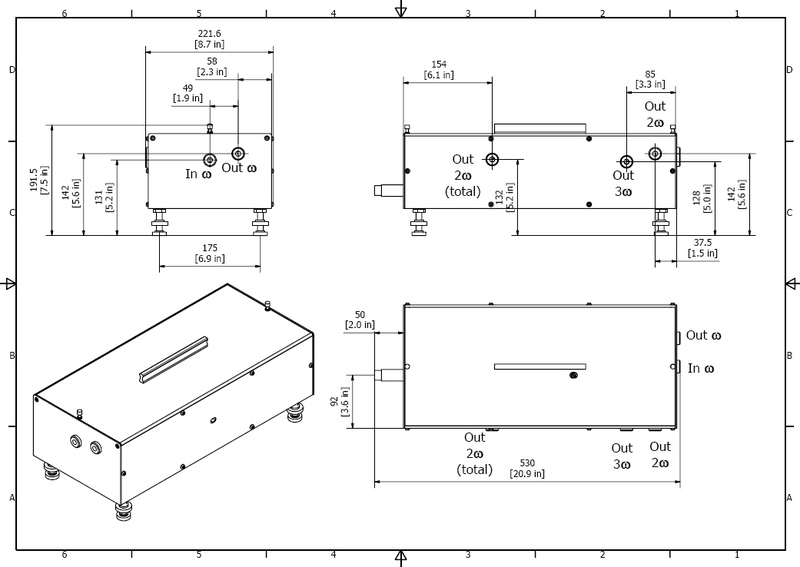 Third harmonic generator (THG) is developed for frequency doubling and tripling of Ti-Sa amplifier radiation (λ=780-820 nm). Device is based on second harmonic generation (SHG) and sum-frequency generation (SFG) techniques and provides stable radiation in fs scale. TH generator is developed for high conversion efficiency. *** - assuming that 1.5<M2<2. Del Mar Photonics offers new Trestles fs/CW laser system which can be easily switched from femtosecond mode to CW and back. 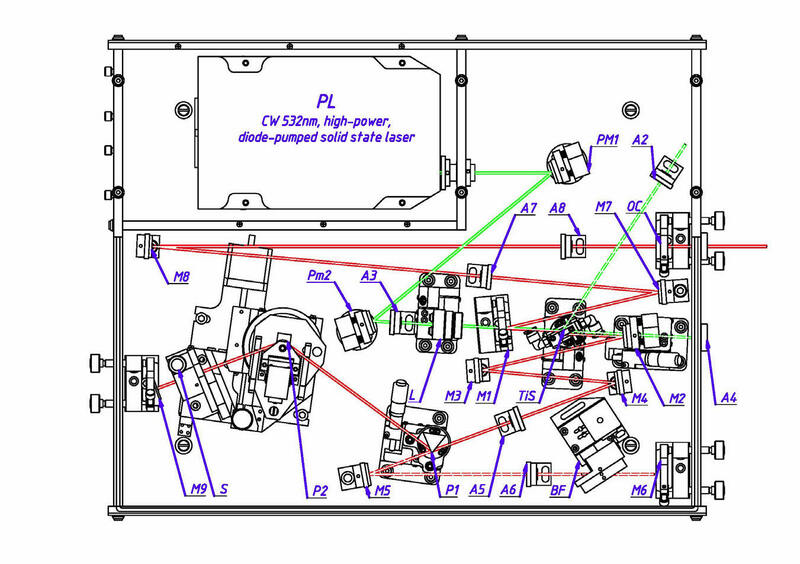 Having both modes of operation in one system dramatically increase a number of applications that the laser can be used for, and makes it an ideal tool for scientific lab involved in multiple research projects.